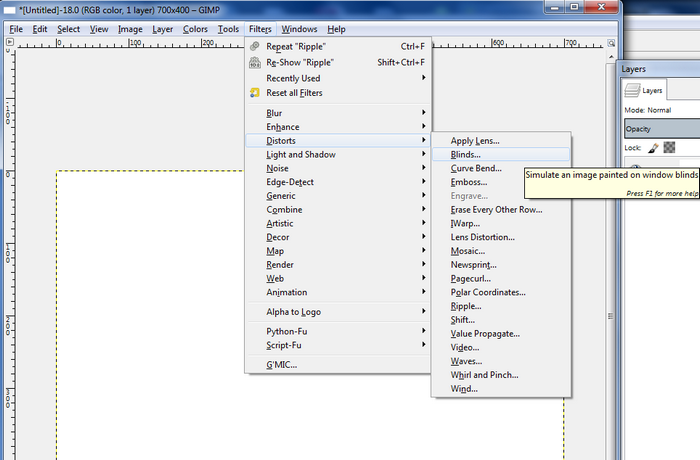 This easy and fast tutorial will show you how to create the ‘starburst’ effect in GIMP step by step. Start a new image of the size of your choice. I will be using a resolution of 700×400 for this tutorial. Fill your canvas with a color. I picked a blue color. 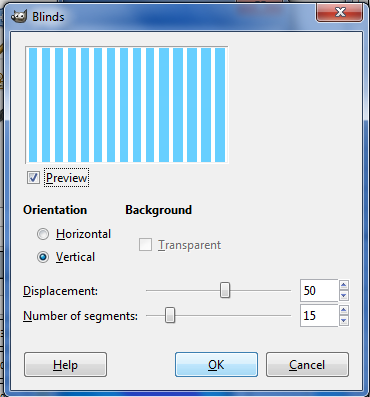 Go to Filters -> Distorts -> Blinds. For this tutorial, I am making use of these settings. 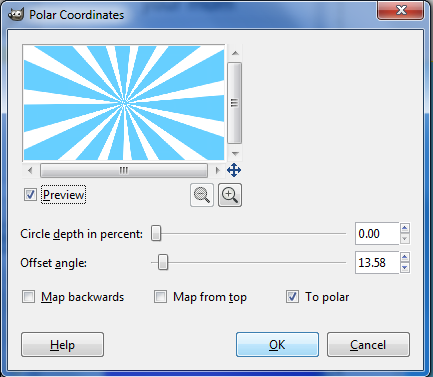 Next, you go to Filter -> Distorts -> Polar Coordinates. And here you have the starburst effect! You can change the white color by setting the Fuzzy Select Tool Treshhold to 50, then click the Select by Color tool and click on the white color. 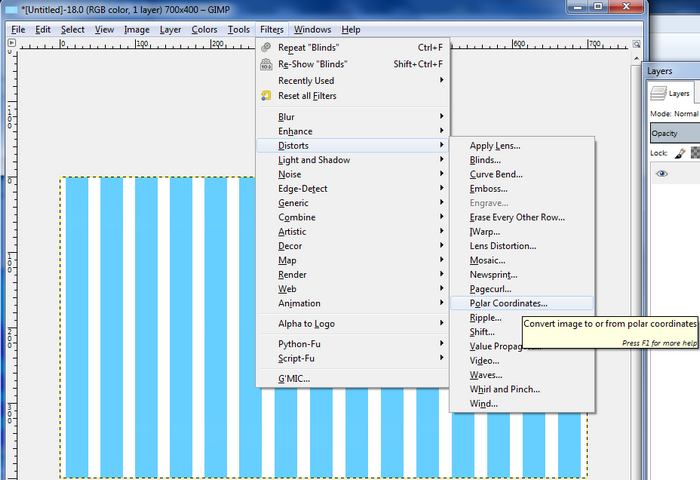 Then set the color you would like to use, go to Edit -> Fill with FG Color. 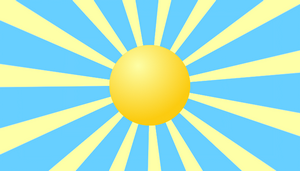 We can also add a sun in front of the starburst by making a new transparent layer and then selecting the Ellipse Select Tool. 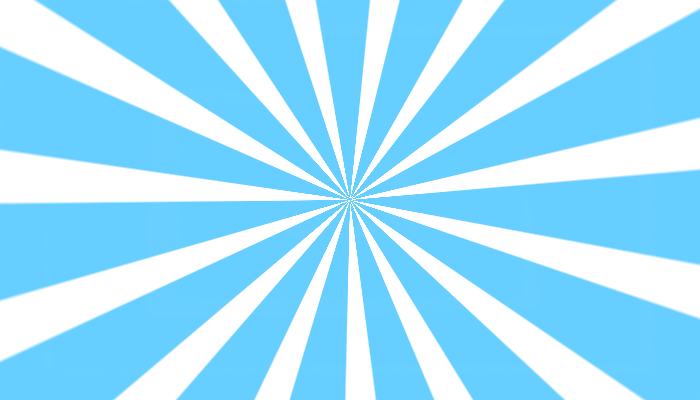 Check ‘Fixed: Aspect ratio” in the Tool Options and make a circle in the center of your image. I like to Gradient Fill it with a light yellow and orange color, setting the Shape in the Tool Options to Radial. Thank you for viewing my GIMP Starburst tutorial. Goodluck on your graphic design projects!